General Chapter standards apply to all healthcare personnel who prepare, administer, or otherwise come in contact with hazardous agents. What is the USP <800> and what do I need to know about it as an oncology nurse? USP <800> is the current chapter regarding standards for hazardous drugs issued by the US Pharmacopeial Convention. This is a nonprofit organization whose mission is to improve global health through public standards and programs that assist in ensuring the quality, safety, and benefit of medicines and foods. These standards were developed to increase awareness, standardize practice, and reduce the risk of exposure to hazardous drugs. 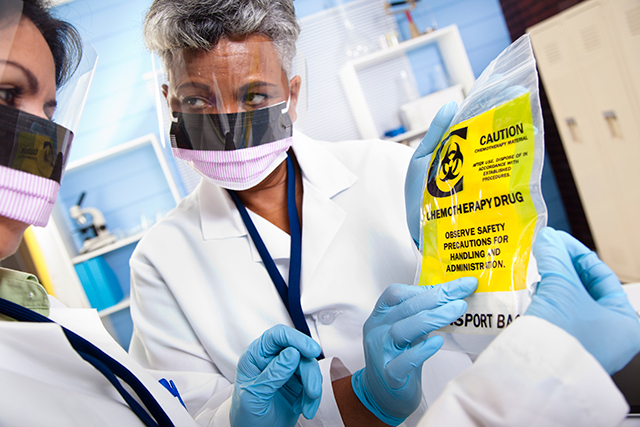 Although the National Institute for Occupational Safety and Health (NIOSH) defines criteria and identifies hazardous drugs, USP developed standards for handling hazardous drugs to minimize the risk to public health.